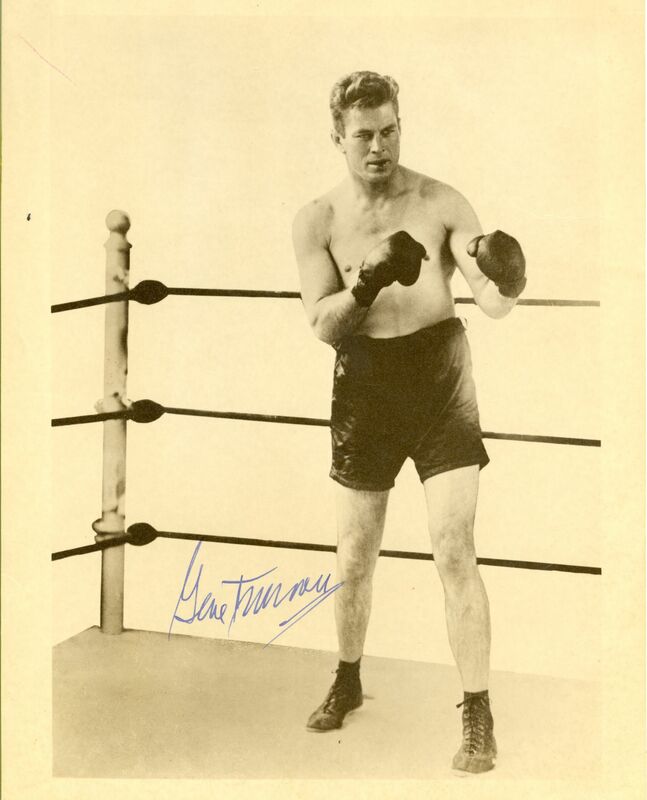 Vintage matte-finish 8 x 10 photo of Tunney posing in a boxing ring, signed in fountain pen. Some scattered light creasing, with a couple affecting last name of signature, otherwise fine condition. Tunney knocked out Georges Carpentier and defeated Jack Dempsey twice; first in 1926 and again in 1927. Tunney's successful title defense against Dempsey remains one of the most famous bouts in boxing history and is known as The Long Count Fight. He retired undefeated as a heavyweight after his victory over Tom Heeney in 1928, after which Tunney was named Fighter of the Year by The Ring magazine.